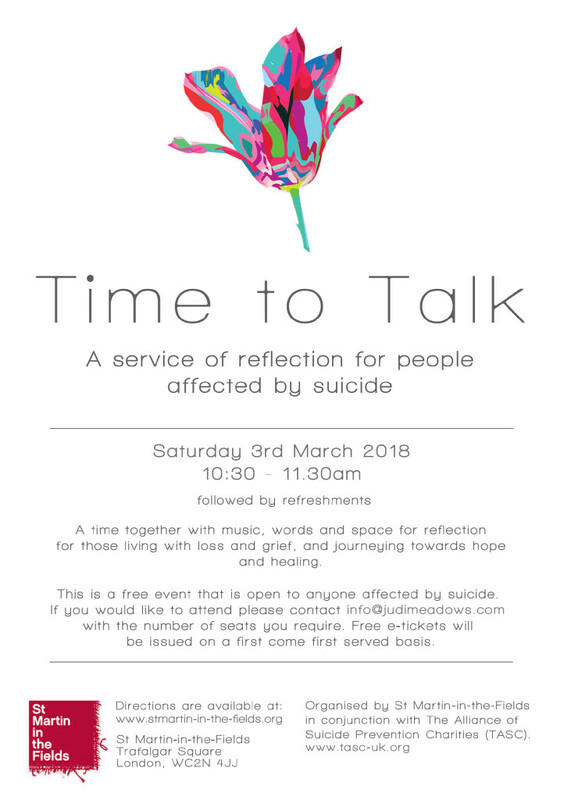 Time To Talk 2018, a service to support those affected or bereaved by suicide, will be held from 10.30-11:30am on Saturday 3 March 2018 at St Martin-in-the-Fields, Trafalgar Square, London. Time to Talk is a service of reflection and remembrance that combines music, words and silence. It is for people of all faiths, and none. Please see the flyer below for more details, and email info@judimeadows.com to reserve free tickets.